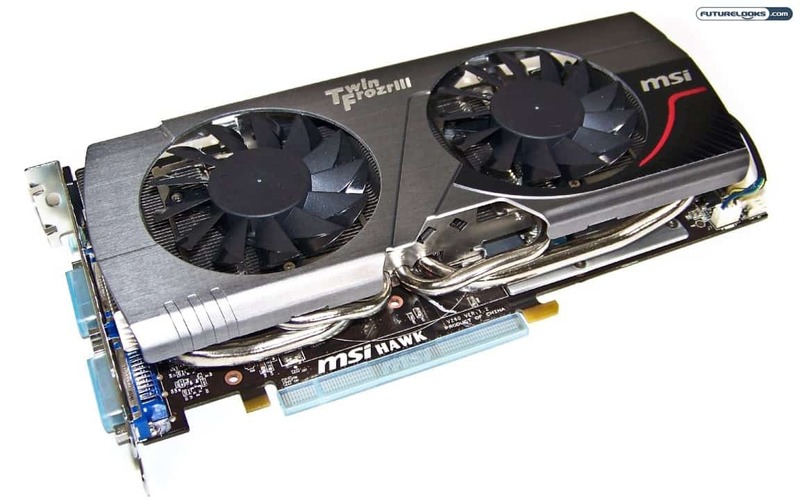 MSI makes many different versions of their video cards. Some include their entry level Cyclone(II) cooler and minor tweaks while at the very top, there is the Lightning series which has many tweaks. Somewhere in the middle is where the "Hawk" makes its nest. 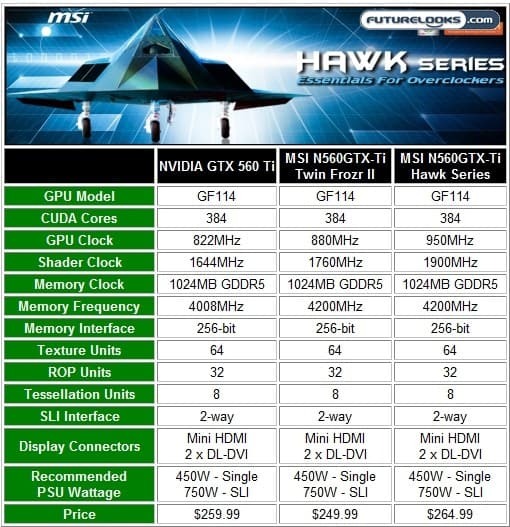 MSI offers options for both AMD and NVIDIA fans at different performance levels to suit the budget and today we'll be checking out their MSI N560GTX-Ti Hawk Edition based on the nVidia GTX 560 Ti GPU. We recognized the GPU as one of the best bang for buck graphics accelerators on the market. But what makes the Hawk so special? Read on and you'll find out! 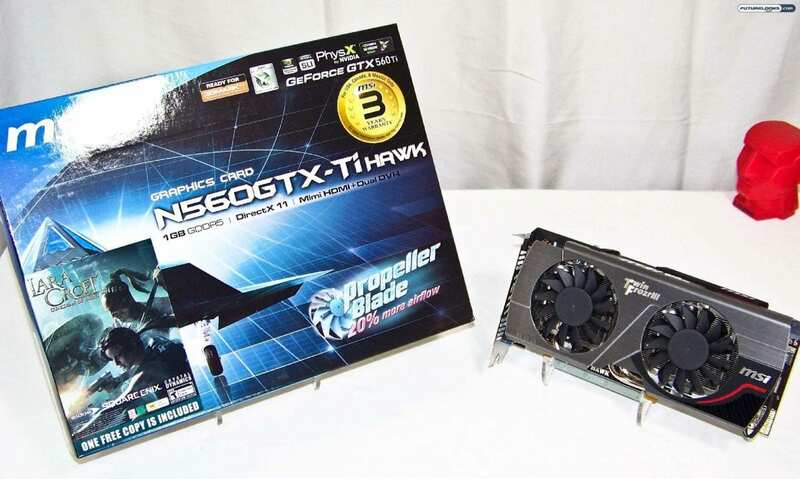 While you can't easily tell the Hawk edition is fast just by looking at it, the frequency specifications make it obvious that it's not just your regular GTX 560 Ti. The current pricing of the cards in the table also gives one cause to seriously consider the faster Hawk series over regular versions. At $264.99 US, that's less than a $20 increase over its slightly slower sibling. Testing will tell us if that's worth the extra cash. In this comparison, only the GTX 560 Ti cards were overclocked to see where the frequencies top out. You should understand that as your overclock your own video card, there is a risk of damaging your card. You also create more heat and noise in your system. Make sure you have plenty of cooling to start. Your results may vary. Let's cook some GPUs! CLOSED - Attention Canadians! Futurelooks and GIGABYTE Canada Team Up to Give Away a G1-Killer Series Sniper Motherboard!